Sorry this is up kinda late guys! My birthday was at the end of September so it was hard to get it up while I was planning the party. BUT here it is, my September Glam Bag! I think this one was one of my favorite bags so far! The actual bag is super gorgeous. 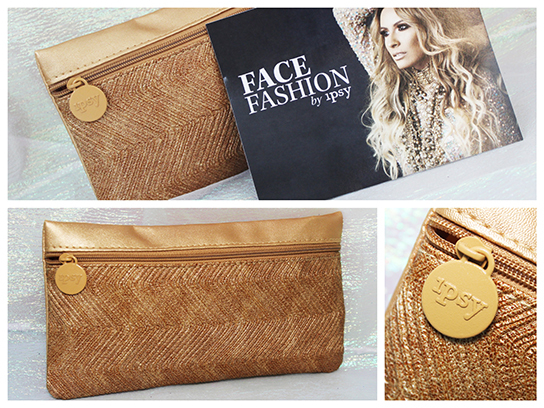 It is a golden copper metallic finish with this interesting arrow texture that really makes the fabric sparkle. Love this bag! 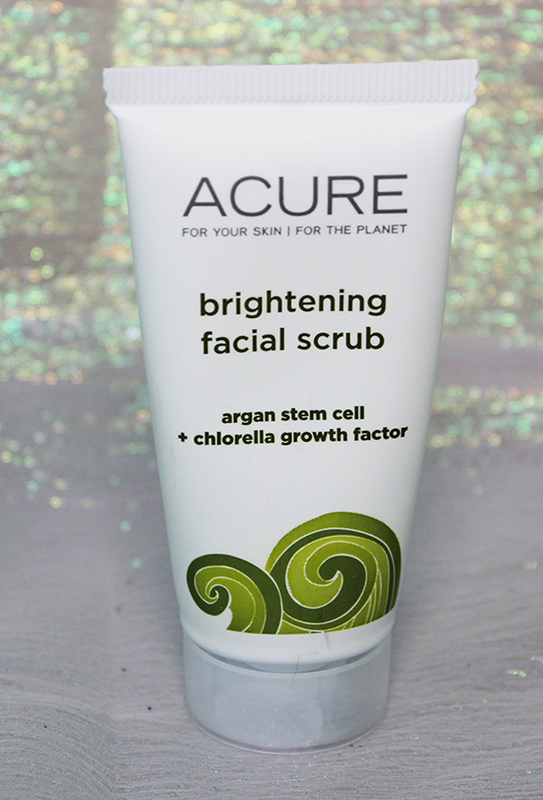 The first this is the Acure Brightening Facial Scrub. This is a great scrub that has pretty big beads so it is a little rough but not as bad as the St. Ives Apricot Scrub. This leaves my skin super soft and gets off all of my dead skin. Double Ended Crown Brush. 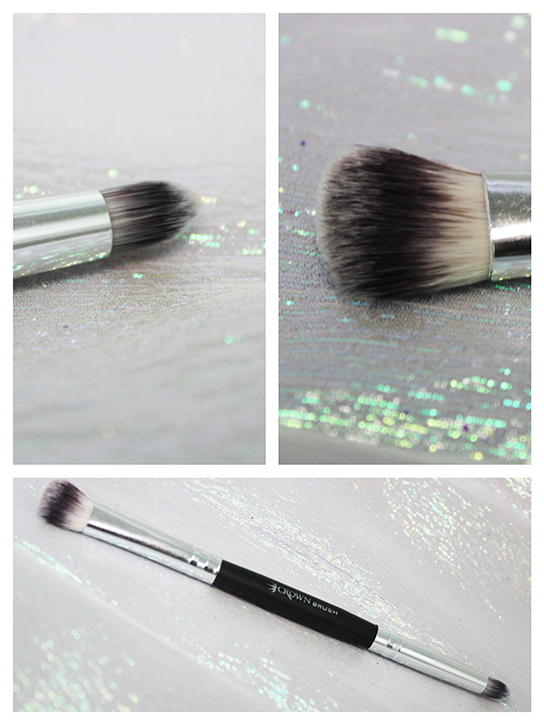 One side is a narrow fluffy shadow brush and the other is a super tiny smudge brush. 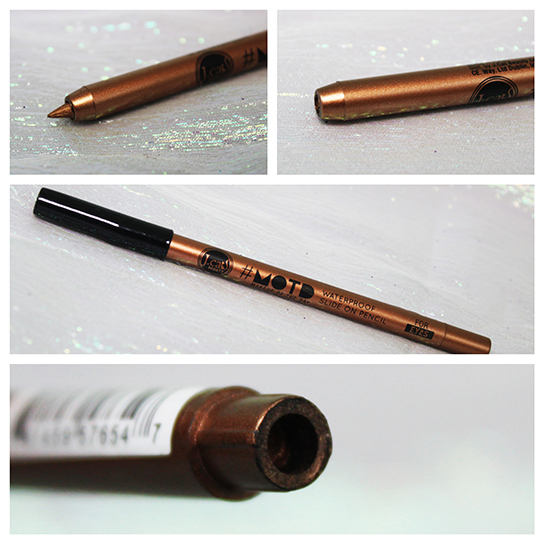 I will defiantly get some use out of this, I love that it is double ended! Super soft as well! 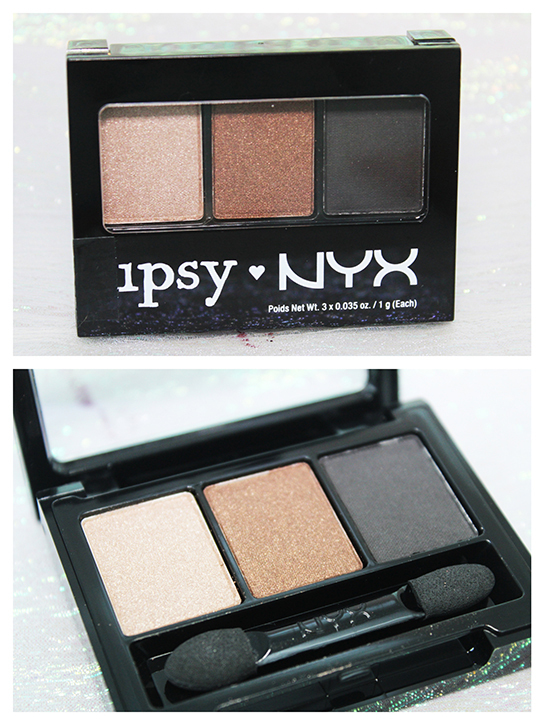 Ipsy NYX Palette. 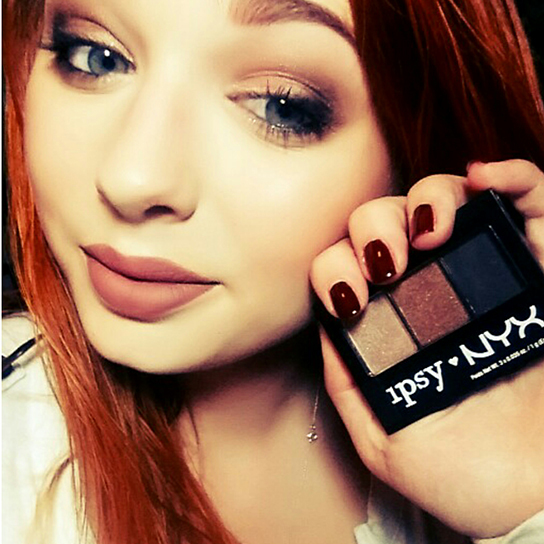 I was REALLY looking forward to this palette because I love NYX cosmetics and these colors looked very promising! 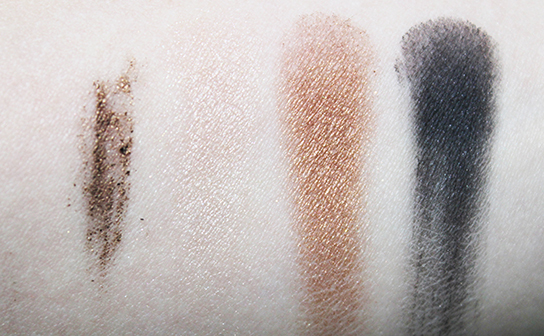 BUT these shadows are not the same quality as other NYX shadows. They are a little dry and are not as pigmented. Not horrible but not the best either. 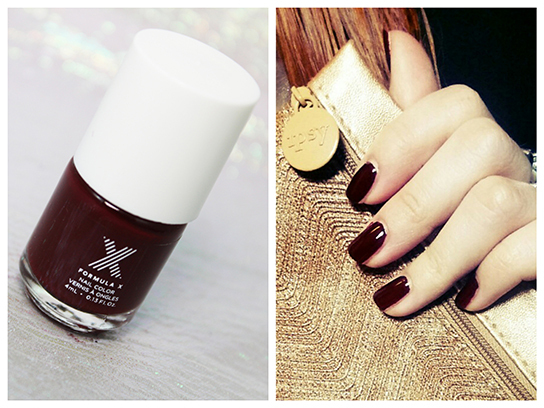 Formula X Nail Polish in Ignite. LOVE Gorgeous color and it is streak free with a thin 2 coats! Too Faced Shadow Insurance, NYX Ipsy Palette, Sephora Eyeliner in Clubbing Stilettos and Girl Talk. Mascara. Aesthetica Contour Kit, Elf Mineral Bronzer in Caramel Cabana, Nick K New York Palette(the yellow shade, review HERE) as a highlight. NYX Blush in Summer Peach. Colourpop Ultra Matte Lip in Clueless. If you are interested in signing up for Ipsy click this link here to get started! It's only $10.00 a month and you can earn points by reviewing items to get more free stuff plus Ipsy offers and discounts and every month they host contests to win up to $230 of stuff from different brands. 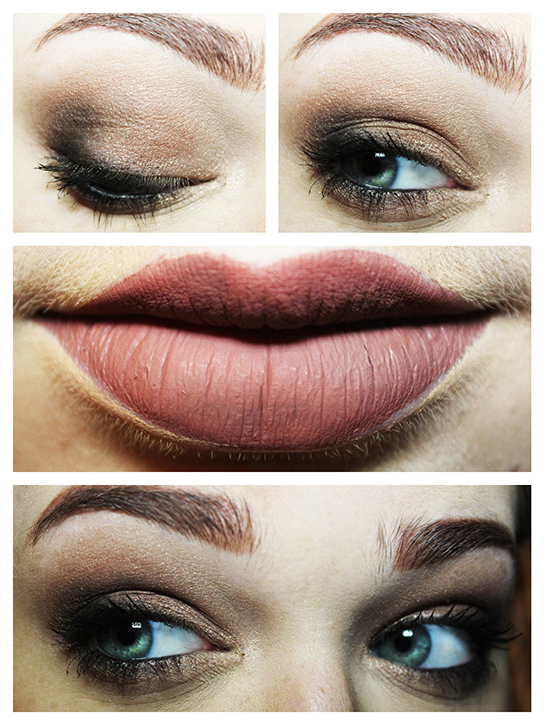 Last month The Balm and NYX were some of the brands offered.